Whether you are hosting a family party at home, a meeting at the office or a huge event wherever, one thing holds true: you’d better have something good for folks to eat. And nothing says you know how to host a shindig quite like Johnny Ray's Bar-B-Q. 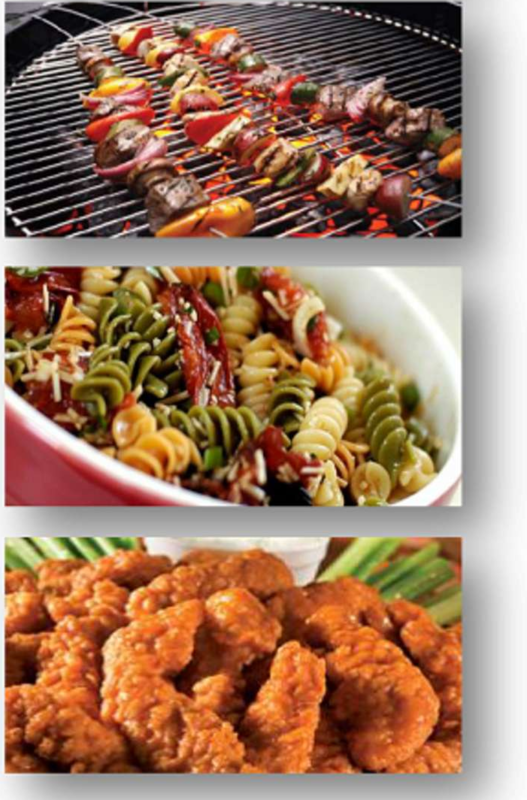 Johnny Ray's Catering offers beautiful, flavorful and unpretentious food. It's Your Day, so customize the menu your way! Our menus are completely customizable and we happy to help you create custom menus that fit your budget, style and specific dietary needs. Just give us a call and one of our catering consultants can help you craft an experience that’s exactly what you need —nothing more, nothing less. You will consistently have the freshest most delicious food we can offer. Barbeque is a casual, low-key affair that will give family members and the wedding party a change to get to know each other before the wedding. We offer buffet-style service that makes the dinner a snap and encourages guests to mingle. Johnny Rays's know that everyone loves BBQ and it is the perfect food for a large group that you want to be social and relaxed. We offer a multitude of different menu options in order to make your rehearsal dinner delicious and memorable. If there is anything not listed above that you would like, we can fulfull any requests on menu items.